It was more than a decade ago that Anthony Morgan lay in a jail cell, incarcerated over what he insists was a misunderstanding. But as a black man married to a white woman in Shreveport, Louisiana, he certainly did not misunderstand what he was up against in a jail that also housed inmates belonging to a white supremacist gang. Indeed, the white supremacists beat him so severely that his front teeth were knocked out and he suffered seizures. To this day, he suffers from a multitude of medical problems, some of which are directly related to the beating. He and his wife then divorced, further complicating his life. Yet, he harbors no racial prejudice. 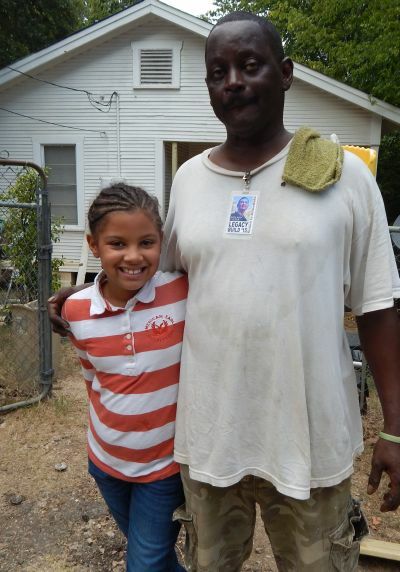 And that’s partly because of the love he has felt from people in his mostly white church — First United Methodist of Shreveport — and people like the volunteers from all walks of life who volunteer with The Fuller Center for Housing, which this week is making badly needed repairs to the home Morgan shares with his daughter, RyRy. And just a couple of days into this year’s Millard Fuller Legacy Build, he already has developed a strong love for the volunteers who are working alongside him to provide a better home for RyRy. 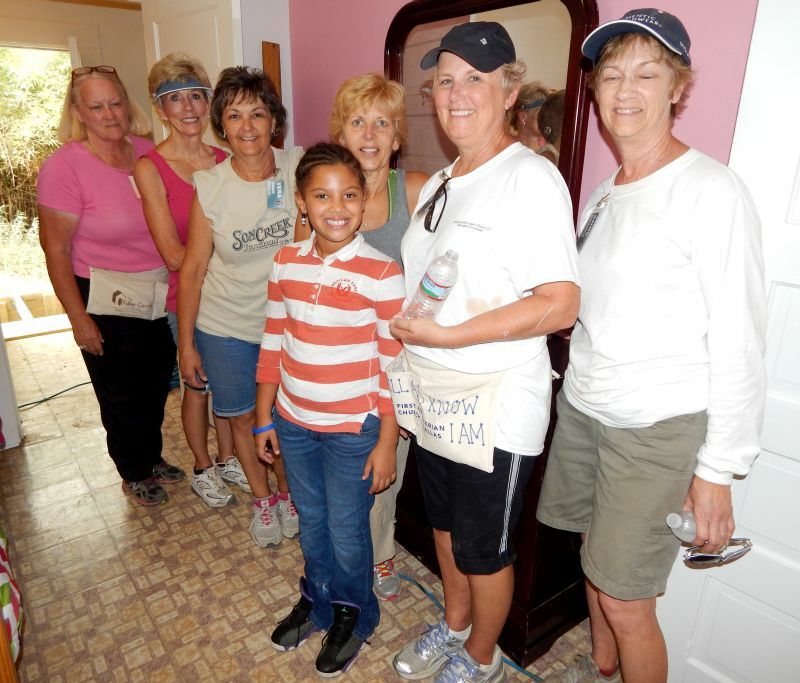 Most of the volunteers assigned to his project are white, and, to Morgan, they are now family. 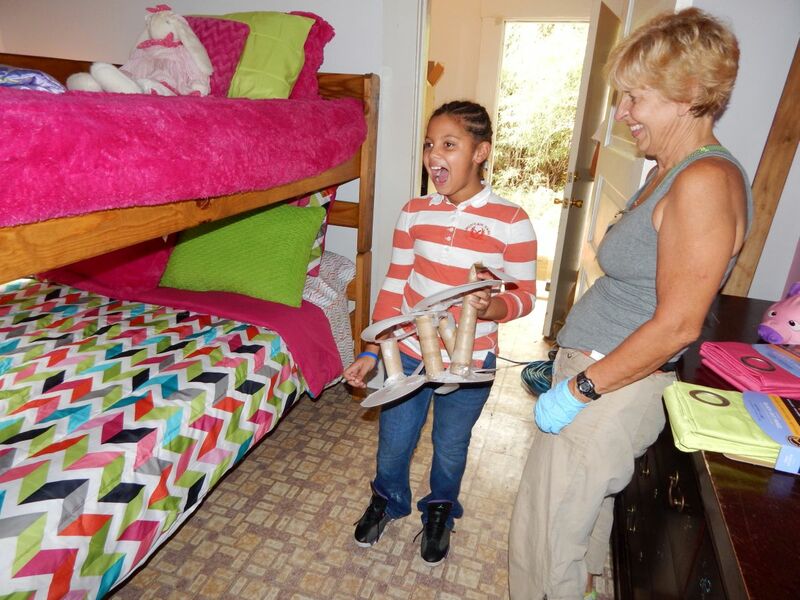 That blessing was carried a step further on Tuesday as volunteers went above and beyond the mission to make structural repairs to the Morgan home. They wanted to do something special for RyRy, a fourth-grade honor student at a local elementary school. So, they painted an accent wall in RyRy’s favorite shade of pink and decked out her bunk bed set with new linens and spreads. “It means the world,” Morgan said Tuesday as he struggled to hold back tears. And that made it all worthwhile for volunteers like Lynn McCrobie of Irvington, Va., who was one of the volunteers behind the effort to surprise RyRy. Click here for photos from Day 3, including more from the Morgan home.